Welcome to the third year of our exclusive Free Mystery Block of the Month by Pat Sloan! This year, Pat's theme is 'The Secret Garden'. With Block 5 we go to a part of a well known park, Hershey Garden in Hershey PA. The past blocks and supply list are here. Watch the video as Pat tells you a method to speed up your half square triangle making, then read below to learn a bit about the park. So many gardens have central areas. My Hershey Garden block is a tribute to the fountains, gazebos, and courtyards you find in so many gardens. I have lots of family that lives near Hershey Park, so the park has been a part of my personal history for a very long time. I didn't hear about the Garden until much later when I was teaching at a quilt conference in Hershey. Somebody wrote and said 'Don't miss the Gardens'! They also told me not to miss the chocolate massage... but that's another story! In 1937, Milton Hershey wanted to 'create a nice garden of roses' and thus began a journey that started with 3 ½ acres and is now 23 acres. What I love is the old and new photos above. They are from the garden's website. The black and white has a gazebo, and if you look closely, they recreated the same gazebo today for us to enjoy! 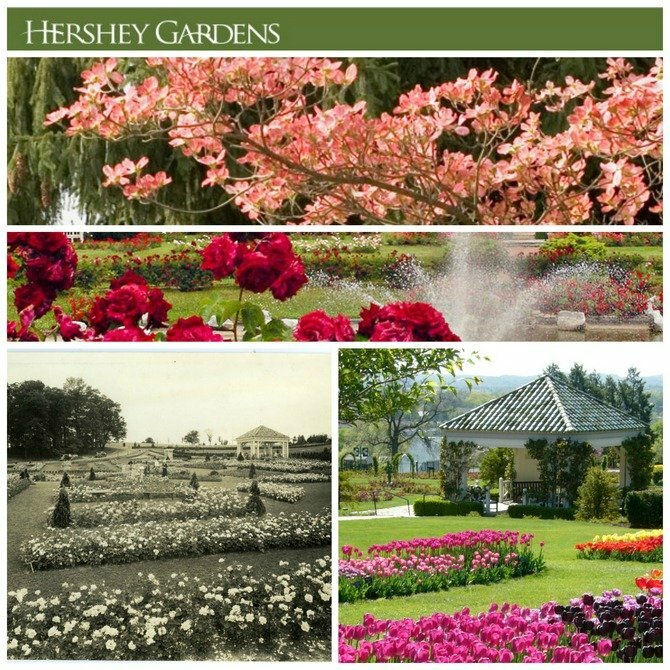 Learn more about Hershey Gardens here. 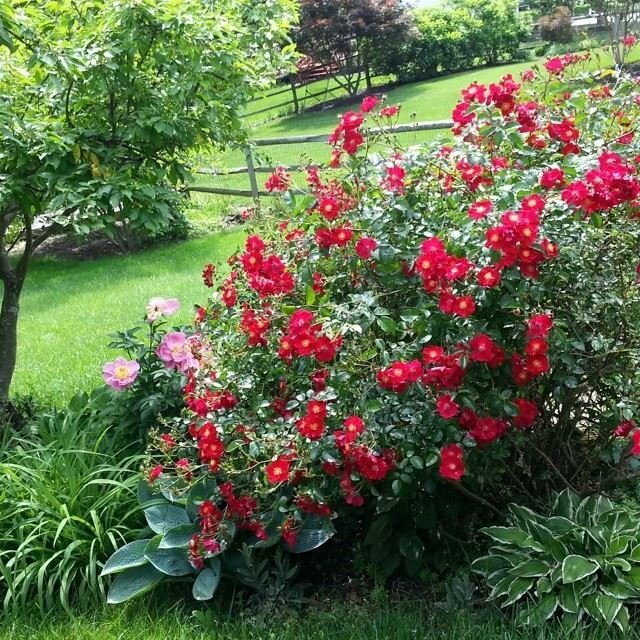 This is one of my rose bushes from a few years ago! I love that old fashioned rose. Behind it are Peonies and I have Hostas around the base. The rose is a favorite of so many people, including my mom! I thought a Rose Garden was perfect for May since Mother's day is coming up.